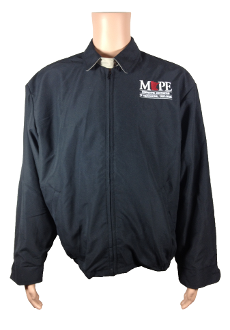 100% polyester outer shell. Nylon lined with inside pocket. Wood tone button cuff.